The garden found its confidence this week, reaching that special springtime peak of blooms that brings abundance, exuberance and balance. It brought such enjoyment and excitement I could hardly contain myself. I checked on the garden’s progress over and over throughout each day and it filled my thoughts even when I had to be elsewhere. This spring, unlike the past few, I have not been able to dedicate my time to gardening, and when I had time I often did not feel that pull of the garden’s magic calling me to come out and play. 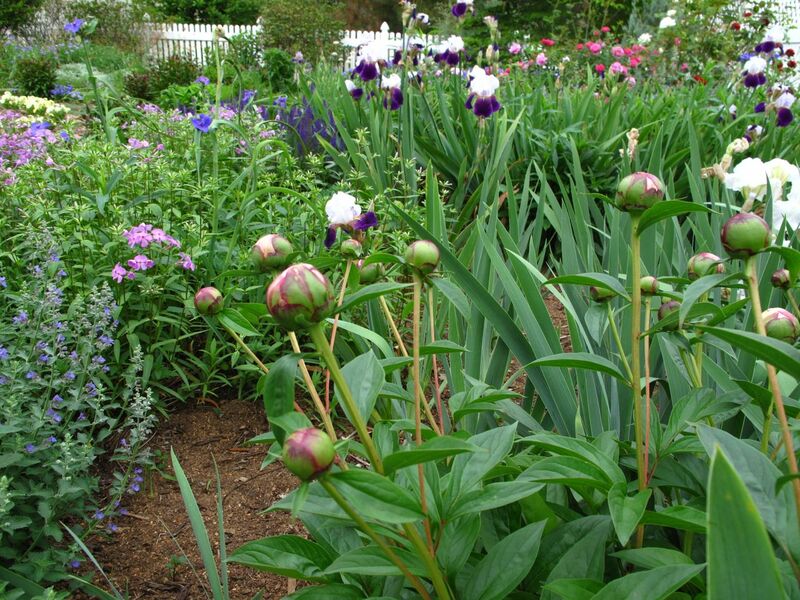 This means the weeding has never been quite finished; tradescantia, columbine, common roadside daylilies and other unruly spreaders have not been brought under control; no compost or mulch has been carefully laid to accentuate the beds. But, the garden forgave all this and rewarded me anyway with, as my pbmGarden tagline suggests, a sense of place, purpose, rejuvenation and joy. Clematis ‘Jackmanii’ is a true delight at the top of the Southern side path near the entrance to the main garden. Native Baptisia ‘Purple Smoke’ (visible in the middle right-hand side) is just coming into flower in front of a mound of Artemisia ‘Powis Castle’ (Wormwood). Sunny yellow bearded irises have been blooming for two full weeks and were among the first irises to open. 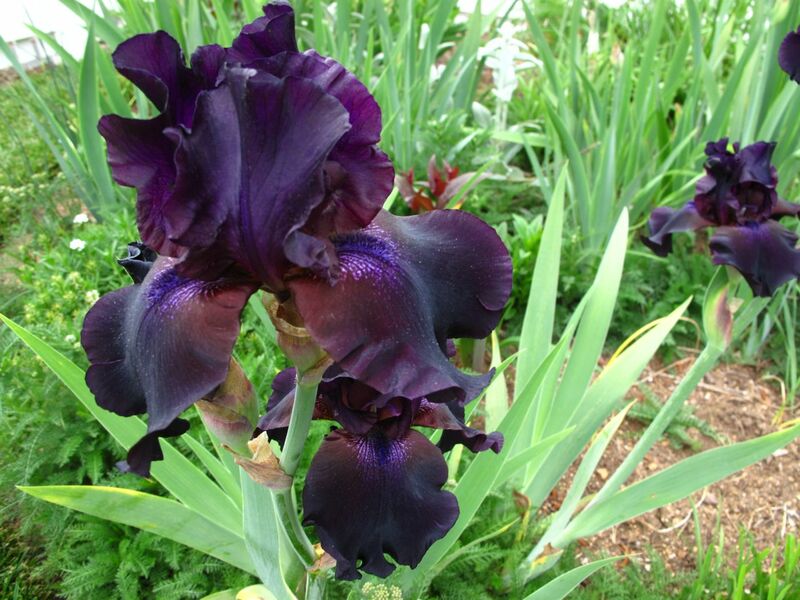 The southern border is full of pale yellow Japanese Iris and a few Iris germanica (Bearded iris), such as this dark, almost black, one. 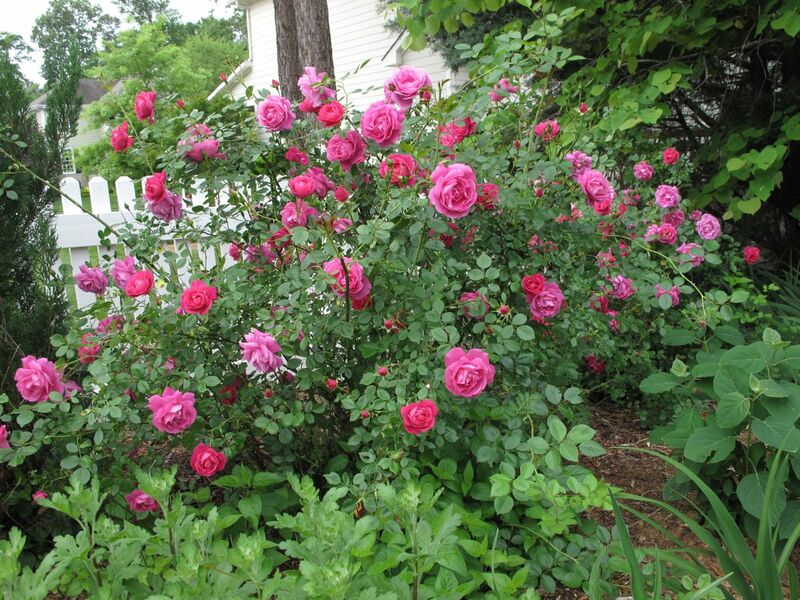 Farther down the border are two rose bushes, the same old-fashioned one featured in my last Monday vase. This special pass-along rose is full of pink blossoms. Nearby, visible in the lower left, is a newly added smooth hydrangea, Hydrangea arborescens Incrediball ‘Abetwo’. Incrediball was recommended last year by Carolyn. In nearly opposite position, on the northern side of the garden, another of these roses is growing, alongside a huge clump of Tradescantia (Spiderwort). 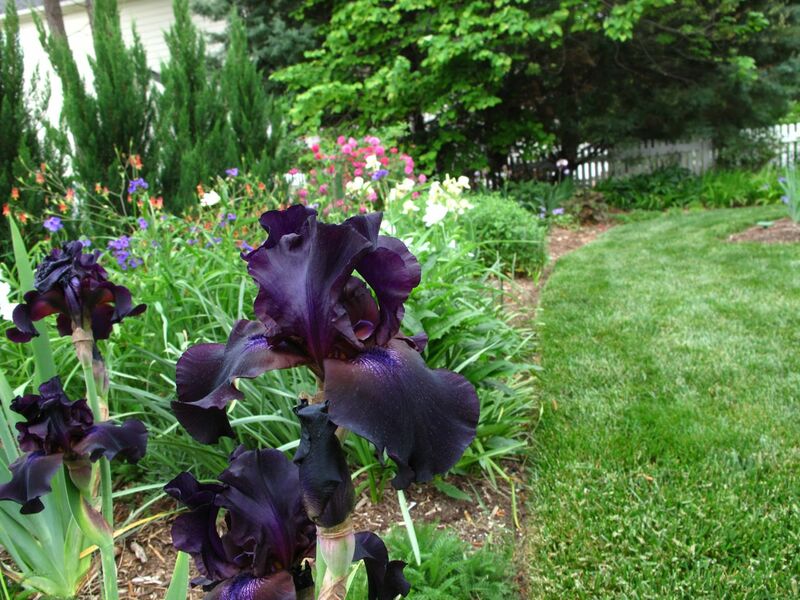 The northern border is full of Iris germanica (Bearded iris). 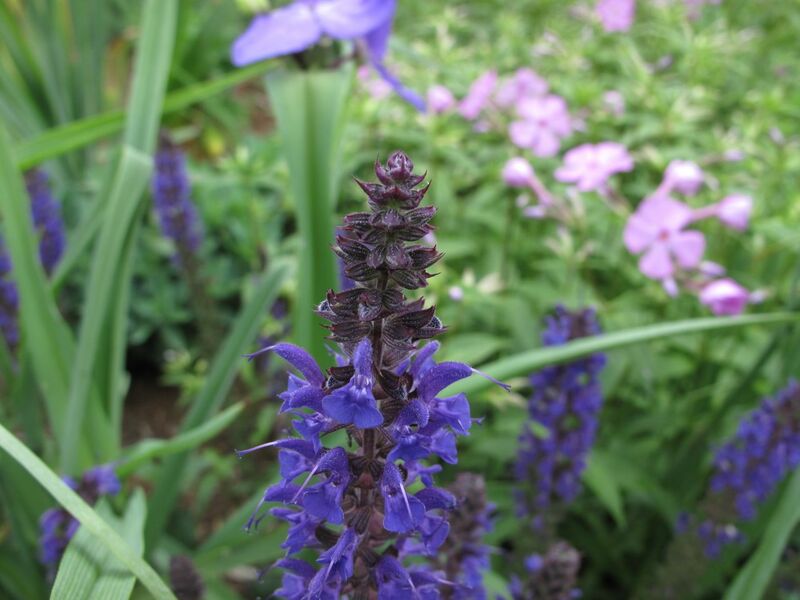 This dusky lavender one is another pass-along from my friend Henrietta. It is one of the latest to open. 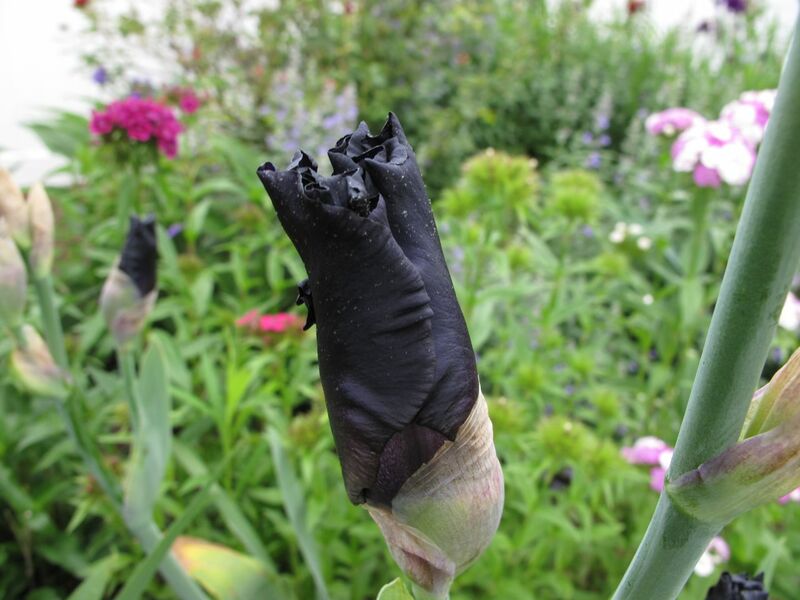 This nearly black bud is the same Iris germanica (Bearded iris) as the one shown earlier that was blooming in the southern border. It will open to a dark purple. I adore this Dianthus barbatus (Sweet William) and began last year trying to re-establish it in my garden. It seems a rather old-fashioned flower that I do not see growing often. The bloom carries a sweet fragrance. 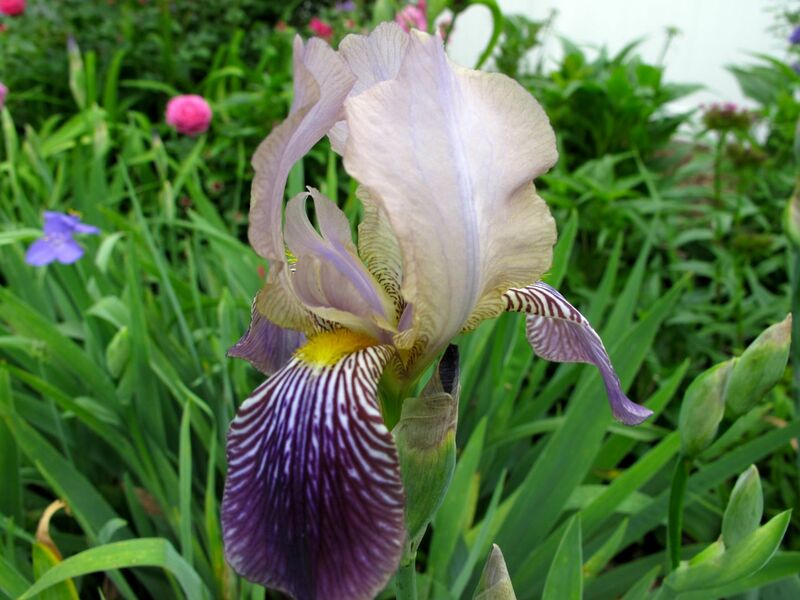 Yet another Iris from my friend Henrietta many years ago, this has pale lavender standards and regal purple falls tinged with oxblood and white. 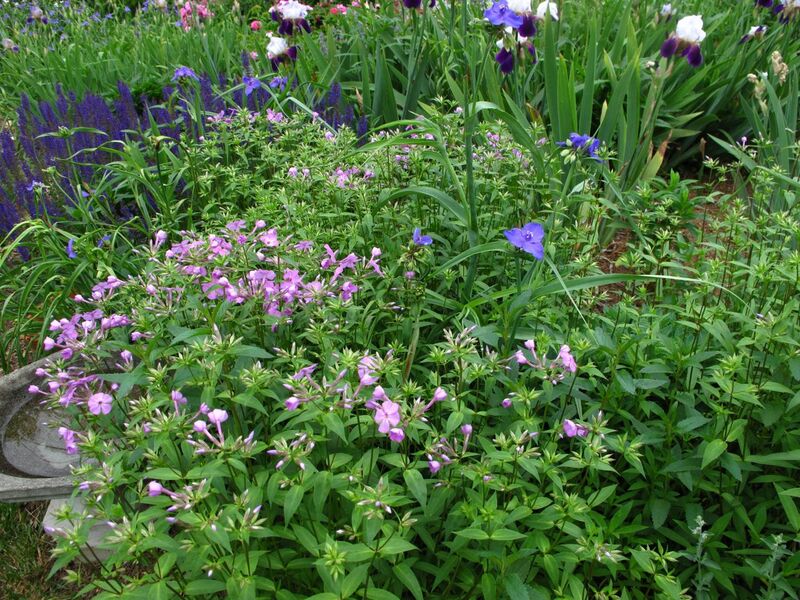 Meadow Sage ‘May Night’, Tradescantia (Spiderwort), Phlox divaricata (Woodland phlox) and Nepeta ‘Walker’s Low’ (Catmint) are all in bloom, filling the Northern Border with color and just filling it in general. It was not long ago that the borders seemed empty. 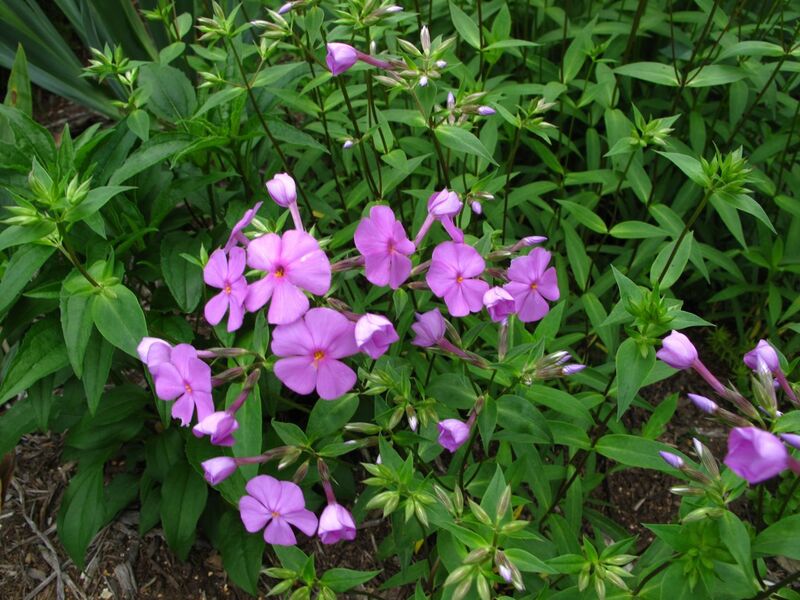 This Phlox is another pass-along from my garden mentor that I have grown now for many years. It just began blooming in the last couple of days. 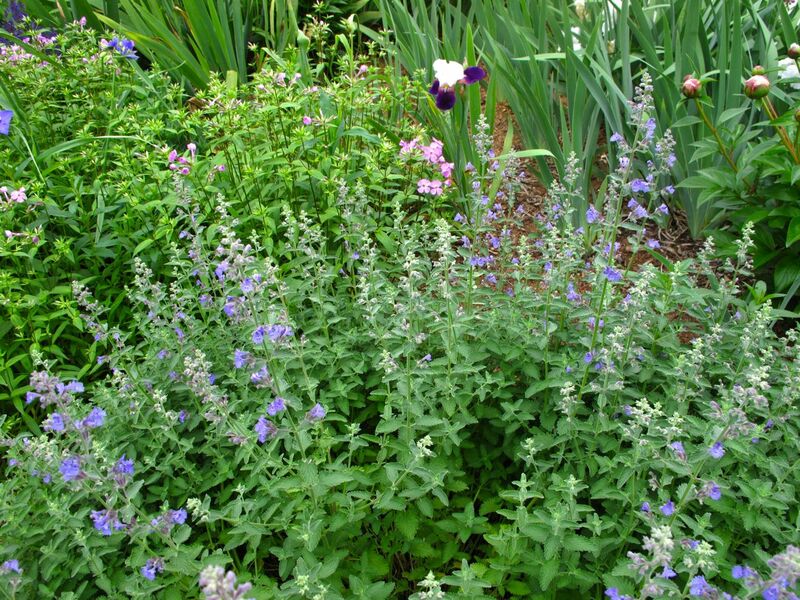 Also opening this week, Nepeta ‘Walker’s Low’ (Catmint) is easy to grow and low maintenance. It works well as a front of the border plant. Behind the Nepeta another peony, Paeonia ‘Pink Parfait’ is preparing to bloom. Here is a longer view, looking down the length of the northern border toward the west. I had to remove some winter-damaged trees from the western border, leaving a few problem areas I try to spin as growth opportunities. There are a lot of other individual plants creating interest when viewed close-up, but I must leave them for another time. I will wrap this up for today with a few general garden views of the May garden. Hope your garden is making you happy today. 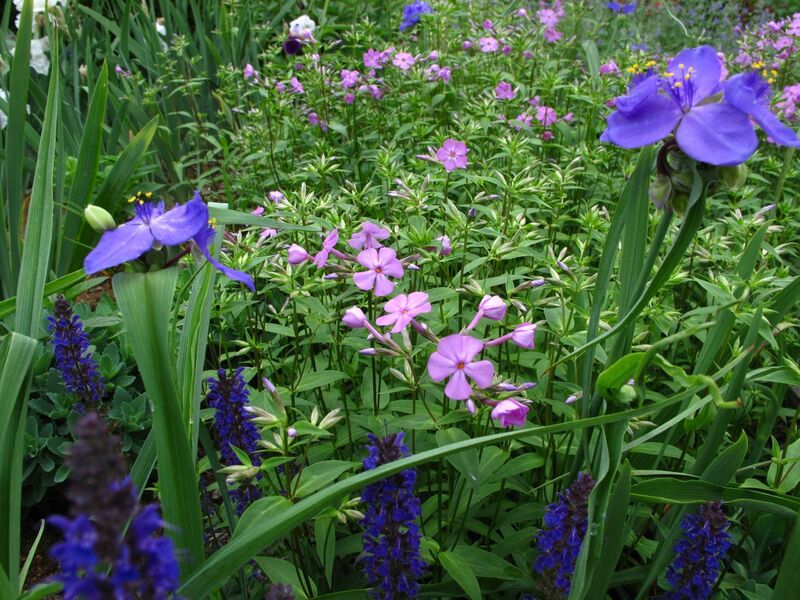 This entry was posted in garden and tagged Bearded Iris, garden photography, nature photography, old-fashioned rose, peony, Phlox divaricata, spring garden, sweet william on May 10, 2014 by pbmgarden. So many wonderful things, I can’t begin to decide what I like best. I can say, though, my hart aches for peonies and the Walkers Low catmint. After two weeks of hot and dry we’re having rain this weekend. Hope you’re getting some too. I’m fairly new to growing peonies. Last year the flowers were ruined by heavy rains, We have been hot and dry here also and could use the rain, but it’s been dodging us all day. Such a well deserved and fairly won happiness. Every view is full of life in many ways. Color and texture and scent. And memory. At its best, we are given time to enjoy the beauty of our inner vision made visible. A time of year when a Meditation Circle is at its most powerfully useful it seems. Thank you. This flowering season is especially rewarding. It’s all looking gorgeous now Susie. The last Iris you showed us reminds me of one my Mum grew years ago. Good to see you have Sweet Williams – as you say, they seem rare these days. I am looking forward to using some of mine in a vase when they open! I hope you’ll give us a closer look at the meditation circle soon – it looks as if it has got nicely established now. What are the red flowers in it? Thanks Cathy. 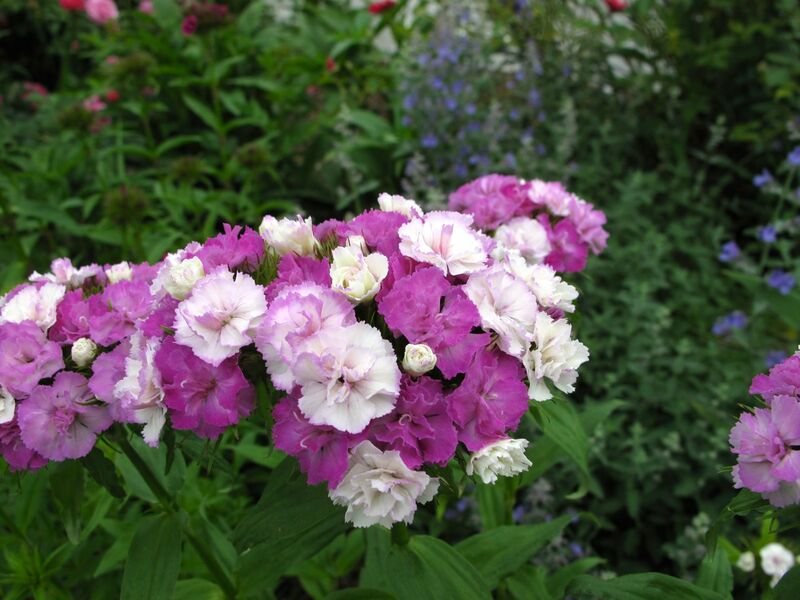 Glad to know you’re also a Sweet William fan! The circle needs some reworking–pansies have been providing lots of color but will not last much longer now that it is getting hot. The dark pink is Dianthus and it overwintered and starting blooming strongly. Hope your dianthus make it and bloom! After I bought these I read there is an annual and a perennial dianthus. The ones I bought were the annual I think but other people in my neighborhood have the perennial ones and they look better longer. It’s so hot today everything is wilting. 87F/37C already and no rain for about 10 days. I’ll do a raindance for you… we’re getting plenty here! LOL! 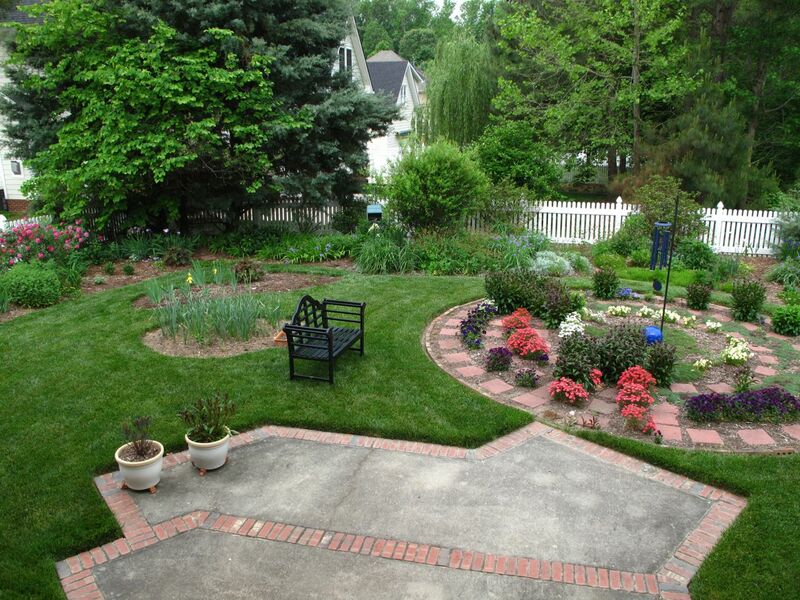 Your garden looks wonderful Susie. It must give you a lot of pleasure. You have some lovely irises. 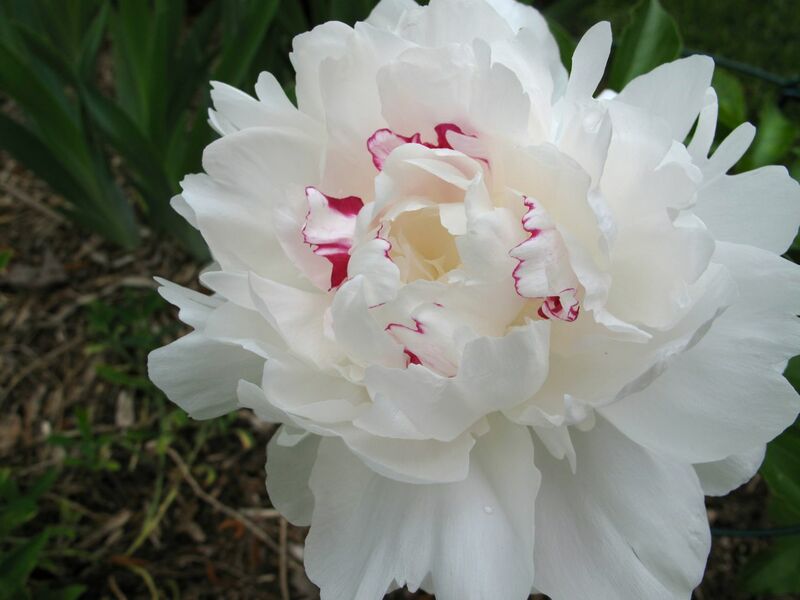 The peony is gorgeous too but it looks just like Festival maxima rather than the Duchesse de Nemours. Whichever it is though, it is beautiful. 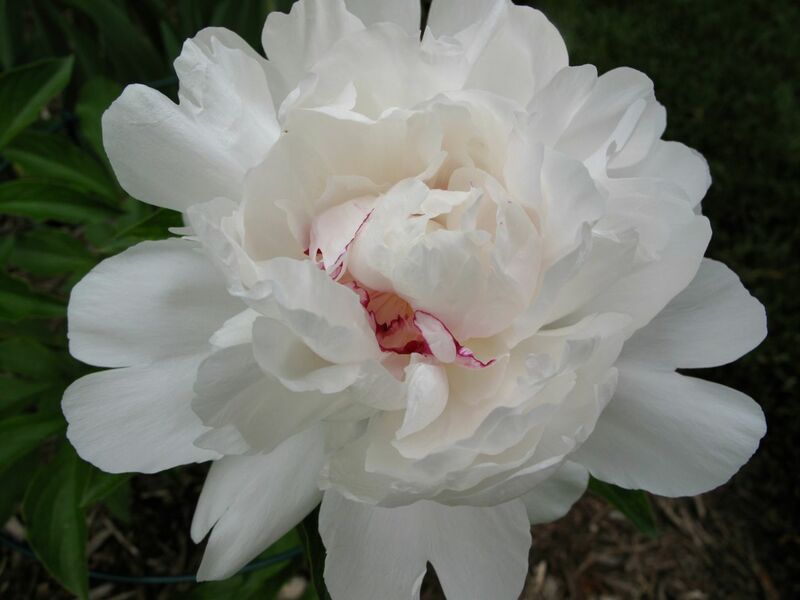 Chloris, thanks for straightening me out on the name of the peony. I certainly agree it looks like Festival maxima. I had forgotten what to expect from it when it blooms. The mail-order company I used last year still has it labeled as the other, but I was not very happy with that shipment anyway. Now I wonder whether the Paeonia lactiflora ‘Black Beauty’ (Nightlife Peony) is an impostor as well. 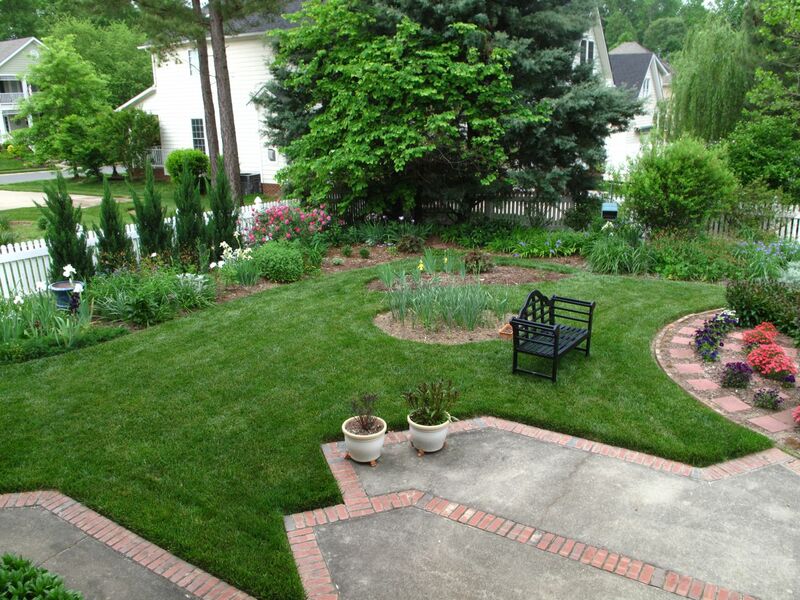 Sounds like your garden is getting all set for a lovely show Judy, once it warms up a bit. 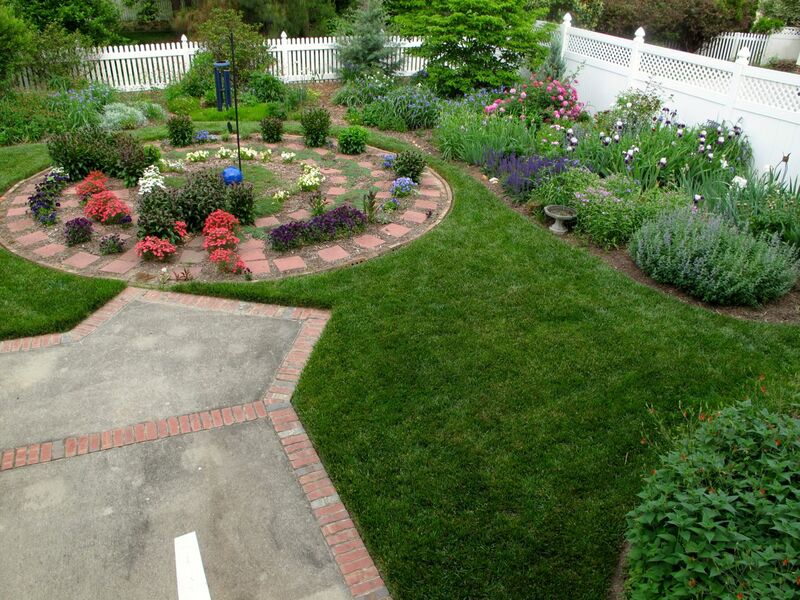 Oh my goodness, your garden really does look lovely, you can also see how hard you work to make it so gorgeous. The cold blustery weather here has everything still in bud with little flowering, but this is an exposed spot and its always later than sheltered gardens. I really like the combinations you have chosen. Thanks Julie, I felt the garden was a little late coming into bloom this year but once it starts it goes so fast. I am trying to enjoy every moment. Looking forward to seeing yours when the flowering begins. I love the combination of that Tradescantia with the roses. The flowers on the Tradescantia are huge! 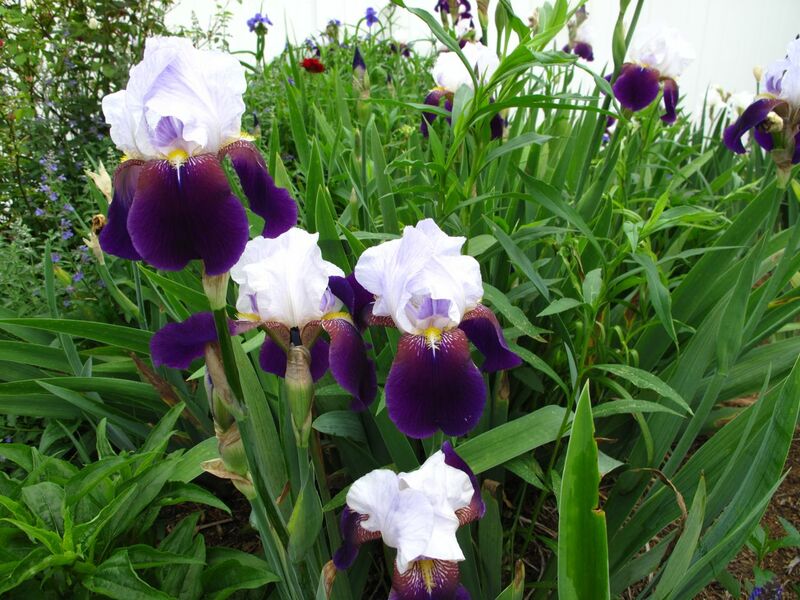 You have an amazing selection of irises. 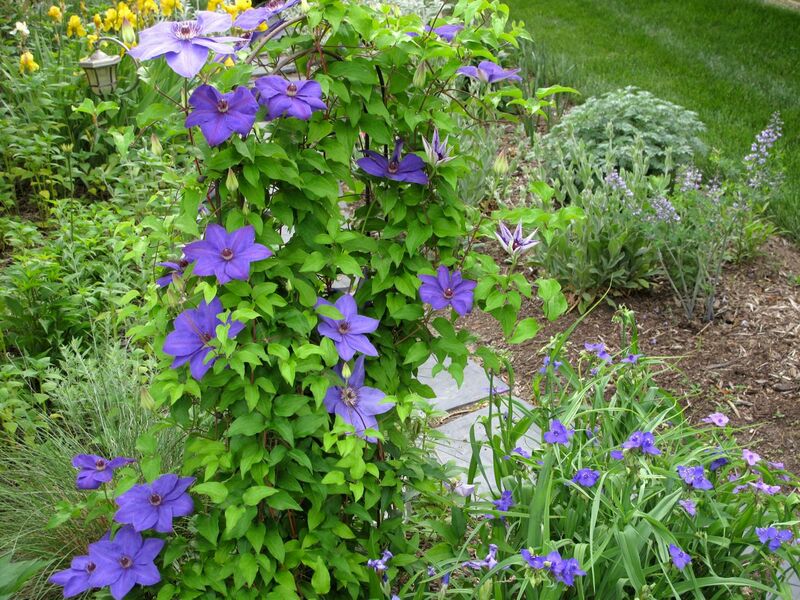 Your clematis ‘jackmanii’ is such a nice shade of blue, mine is more of a purple. I’m always battling that Tradescantia but every spring I do enjoy its first flush of flowering. The photograph of the clematis probably makes it a little bluer than is really is. I’ve had trouble capturing the colors of some of the irises and the ‘May Night’ as well. Thank you! I’m really enjoying the garden this week. 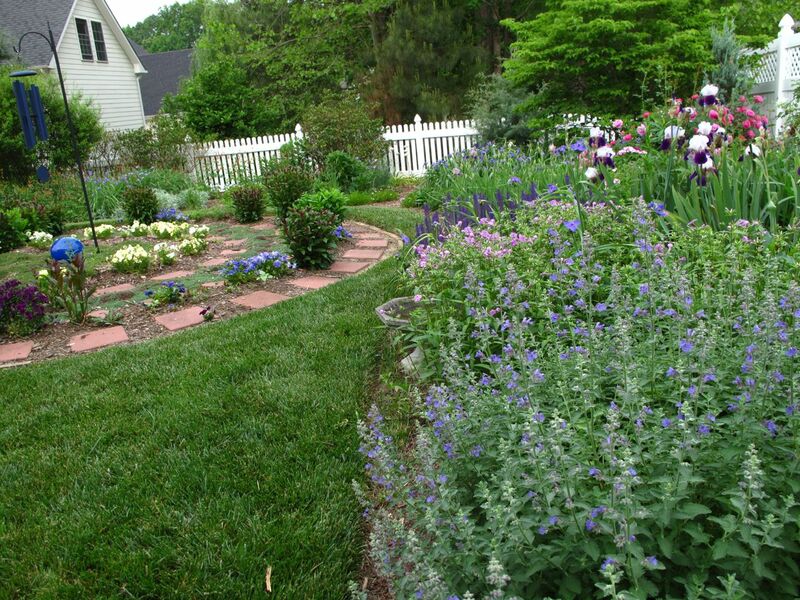 Your garden is looking lovely, filling out with delightful blooms. You have so many pass along plants which I think it such a great way of remembering friends and family. At the Iris garden I visited this weekend I saw one just like the Iris germanica (Bearded iris) In your Northern Border. 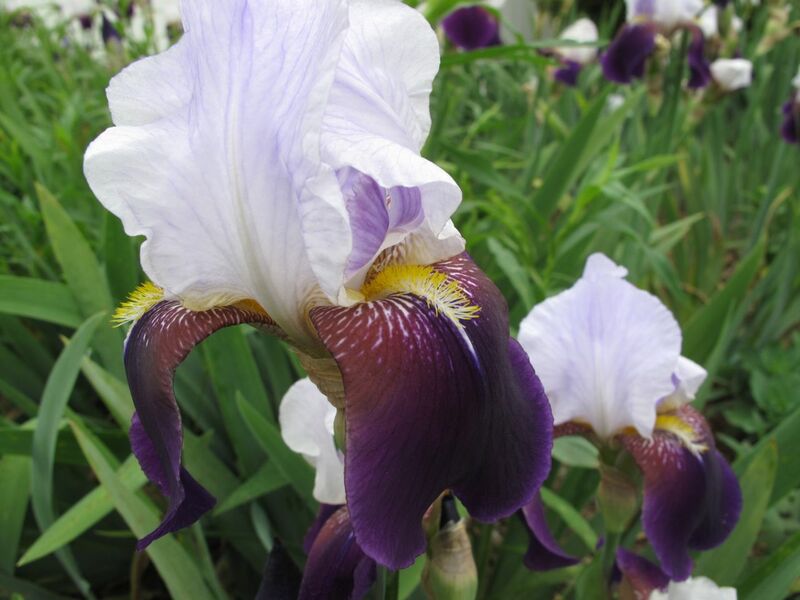 Many of the irises were from American breeders but sadly very few were named. Thanks Christina. This is my favorite week in the garden! It’s mind boggling to think how many irises there are. 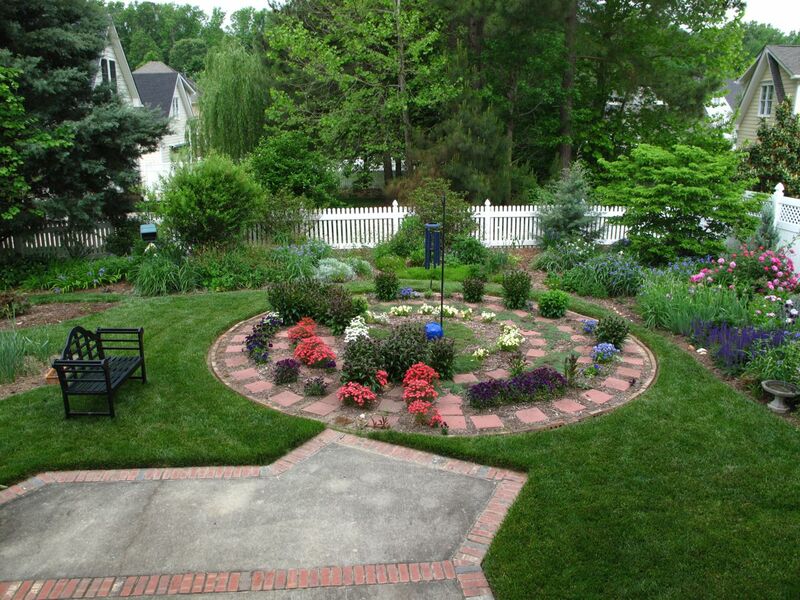 Your garden is looking fresh and wonderful! A breath of fresh air! Thank you Malc. I love the first spring blooms (before all the deadheading and trimming). We need rain though. What an explosion of colour and scent I bet! I know the feeling when one isn’t that motivated but tell myself it’s no harm to give in and just wait for the energy to come back. And it never takes long… I’m delighted to see your garden (and you!) in such a joyful mood, Suzie. 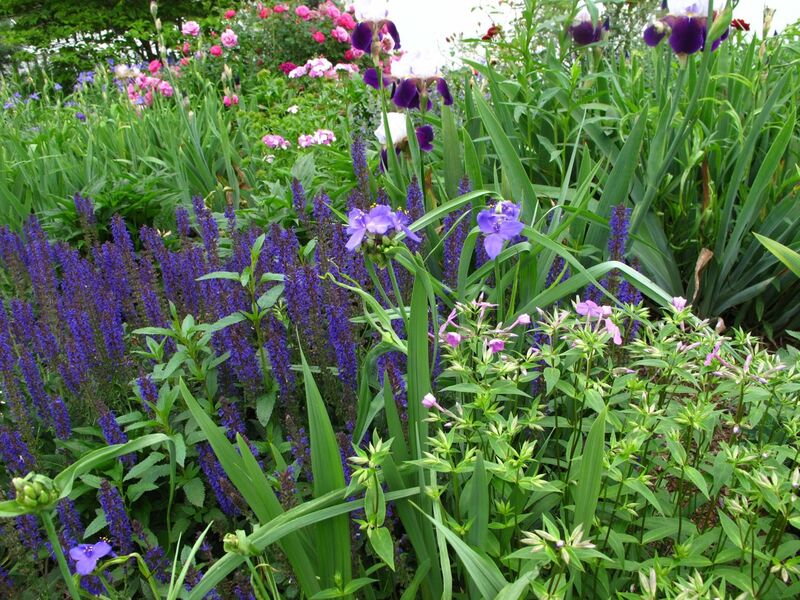 Beautiful flowers…I love the black iris and the corner with the blue flowers. Thanks Annette, seeing my garden and others around town during the last few weeks has been uplifting. The power of gardens! Your garden is everything I think a May garden should be! 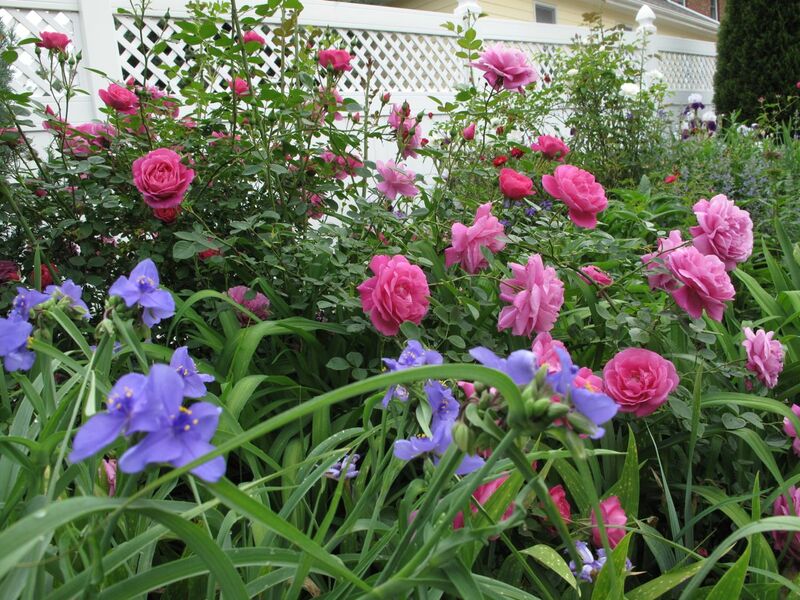 Iris, roses, sweet William, clematis…… All blue and pink and a few other colors, it really looks great. I know what you mean about not being completely “into” the garden at times, but yours hardly looks as if it’s been neglected for a minute. Maybe leaving it on its own here and there will lead to some new surprises! Hope you get rain soon, a dry spring is one of those real discouraging garden downers. Thanks so much Frank. I am smiling, basking in your praise. I always say I prefer blue but some of my favorite flowers are pink so the garden reflects both. Wow, so lush! 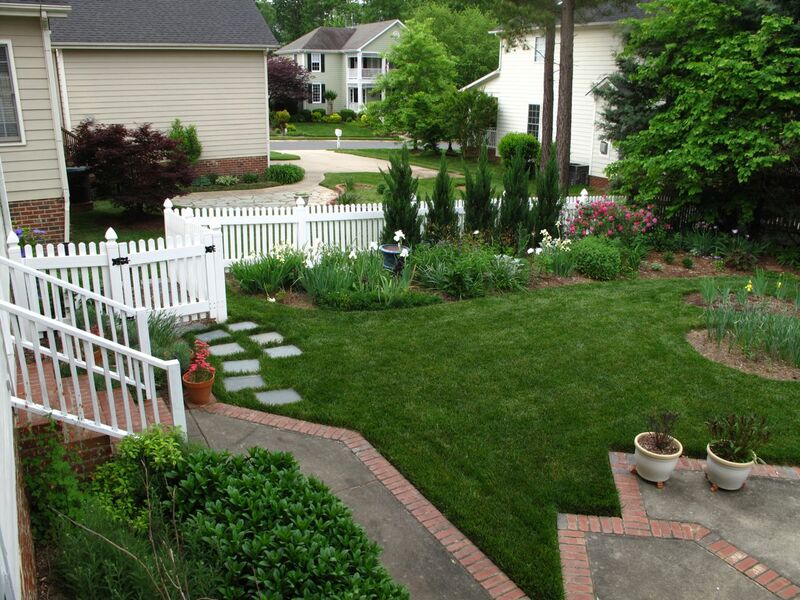 I’m glad to see that the last harsh winter didn’t do much damage to your garden at all. Most things recovered from the winter pretty well. We quite getting rain just as everything was coming into full bloom so things are not lasting as well as they might have, but can’t complain. I’ve just sat back and enjoyed it this year. What a lovely garden. Thanks for sharing. Thanks for visiting Cynthia. The garden is at its best in early spring.